Getting out of the Eurasian market is proving to be troublesome. In September 2015, the Swedish-Finnish telecommunications company then known as TeliaSonera (now going by the name Telia Company) announced that it would be plotting its exit from the entire Eurasian market. The company said at the time that it would look to sell off its local iterations in Azerbaijan, Georgia, Kazakhstan, Moldova, Nepal, Tajikistan, and Uzbekistan. Telia had been hard-hit by a bribery scandal stemming from Uzbekistan and faced other difficulties around the Eurasian region. But getting out of the market seems to be as troublesome as remaining. On January 17, Telia published a press release announcing that its Tajik subsidiary, Tcell, would be appealing “what is considered to be an illegal tax claim” made by the Tajik government. Last September, Telia signed an agreement to sell its 60 percent controlling share in Tcell (well, in Central Asian Telecommunications Development B.V.CATD, which controls CJSC “Indigo Tajikistan” (Tcell) to be technical about it ) to the Aga Khan Fund for Economic Development (AKFED), which held the other 40 percent. Meanwhile, the agreement to sell its share in the company has seemingly stalled in Tajik bureaucratic limbo. “We find it unworthy and unsustainable that a decision of this importance is delayed without a formal response citing credible reasons,” Dennelind writes. In sum: Telia wants desperately to get out of Tajikistan, but in the meantime state pressure by way of inflated taxes and non-payment of debts are creating an extraordinary burden on Tcell, and therefore Telia. It’s unclear when (or if) Telia will receive a response from the prime minister, or when (or if) Tajik authorities will make a decision on the sale of the company’s Tcell shares. In the meantime, the Tajik market looks less and less appealing to international firms and Dushanbe like a fickle partner. 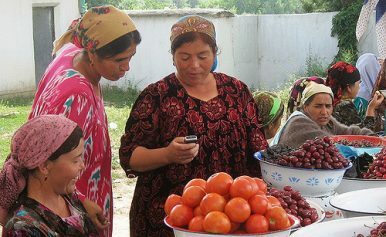 Thanks to Tajik government inaction, Telia remains mired in Tajikistan.